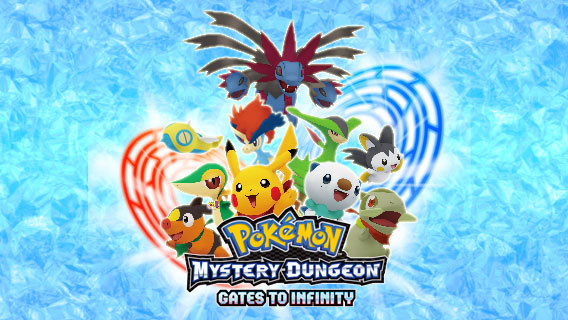 Nintendo Europe has confirmed today that Pokémon Mystery Dungeon: Gates to Infinity will be hitting the region on May 17th. The latest in the Mystery Dungeon series, Gates to Infinity will feature randomly-generated levels and will allow players to use their 3DS console's camera to create Magnagates from real-world objects. Will you be picking this up? Post a comment to let us know. Looks like fun, though I have yet to play any of the other games so I have no idea if this series is for me. The real world object "scanning" thing looks interesting. Now this excites me. Love my roguelikes. Cool! The release date is my birthday. About a fortnight ago I restarted my Explorers of Time and somehow managed to get a Pikachu as my personality (dat Discharge...) and now, along with my mudkip I'm now at the concealed ruins!! You have no idea just how hyped I am for this game. can some one tell me how to putt my photo on here i dont know what im doing . Also, fess up, you two are one person.